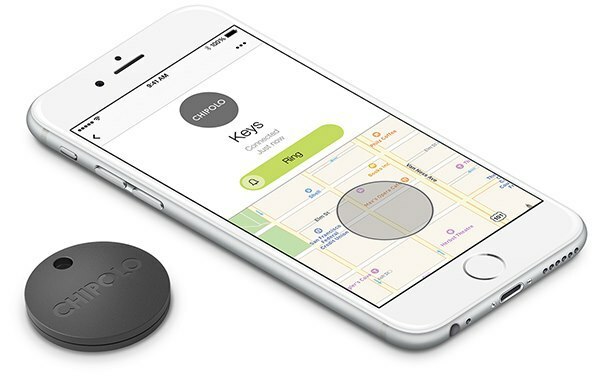 Chipolo is the Loudest Bluetooth Tracker on the planet. You have a meeting in half hours and you are not able to find the keys from the mess you had last night? Having a conference in LA but the Airlines just told you they lost your bag somewhere in between? Trying to find your phone from the piles of clothes? Everything listed here seems very life-like events, aren’t they? Well, thank god for technology who has an answer for everything or should we say tracker for everything. Chipolo LLC, a Slovenia Based startup, works on these adverse situation has recovered many lost items all around the globe. the concept is really simple they have very neat and classy products that do everything you need it for Chipolo plus and Chipolo classic doesn’t take more space than your key rings. Ring your belongings: Ring lost belongings from your phone. When your Chipolo tracking device is within the 200-feet Bluetooth range, it will play a loud tune until you find it. Ring your phone: When you need to locate your phone, just double press any of your Chipolo tracking devices to make your lost phone ring – even if it’s on silent. See where you last had it: Check the map for the last place you had it, so you know where you left it. Activate Crowd-search Party: this is the best feature we have found by far you can actually expand your search using all Chipolo apps in our huge community. When you search for your Chipolo tracking device, you aren’t just searching with your phone, but with everyone’s phone running the app.This feature is 100% private, so no one knows you’re looking for a lost item but you. We can not recommend this device more than this as it has got everything from style to features,we are planning to test it more and will let you know if we find any limitation than just that the battery will last till 1 year and then there is renewal plan you have to go through if you have got Chilpolo Plus but if you have Chipolo classic it will come with the replaceable batteries. chipolo plus comes if 7 funky colors which will match your personality. so please go ahead and buy chipolo from here and let us know your experiences with this amazing product. I can really use this,I miss place things a lot nowadays, Might even lose my head too if it was not attached! This is an amazing little device. I could really use this. I’m forever misplacing my keys and putting my phone down and forgetting where it’s at. I could use a whole pack of these in my everyday life 🙂 I wouldn’t lose anything if I had Chipolos attached to them! Today I came home & realized I couldn’t find my house keys!! It is Winter & freezing outside so it sucked! Cool tracker! I would use it on my wallet since I’m always losing it. This a great product indeed, thanks for the review! I’m a very forgetful person and Chipolo might be the key for a calm me.